The Layer Cake Leather Jacket is an amazing, wonderful outfit which has given a new style to the fashion industry. Might you have been wearing many leather jackets but it is fact that there is no comparison of Layer Cake Leather Jacket. In fact “Layer Cake” was a British crime thriller movie which has got unlimited appreciation from the viewers of throughout the world. 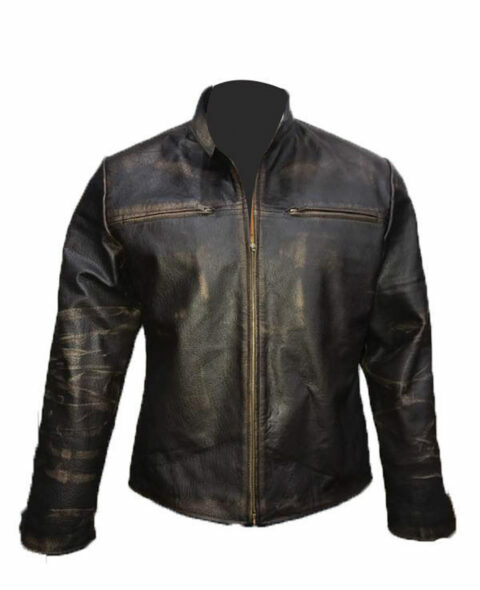 The outer shell of the jacket is made from sheepskin leather or faux leather having top quality. The Layer Cake Jacket has two side waist pockets whereas two inside pockets are also provided in it. The shade is alluring black that admires everyone. A unique feature of the Layer Cake Jacket is the white fine stitching. It has given a new appearance to the outerwear. The maroon inner lining is added that is unusual. The shirt collar style always forms simple but gorgeous impression which is present in Daniel Craig Layer Cake Jacket. The branded YKK zipper closure is also an important characteristic of the jacket. It was worn by superstar Daniel Craig in the movie.